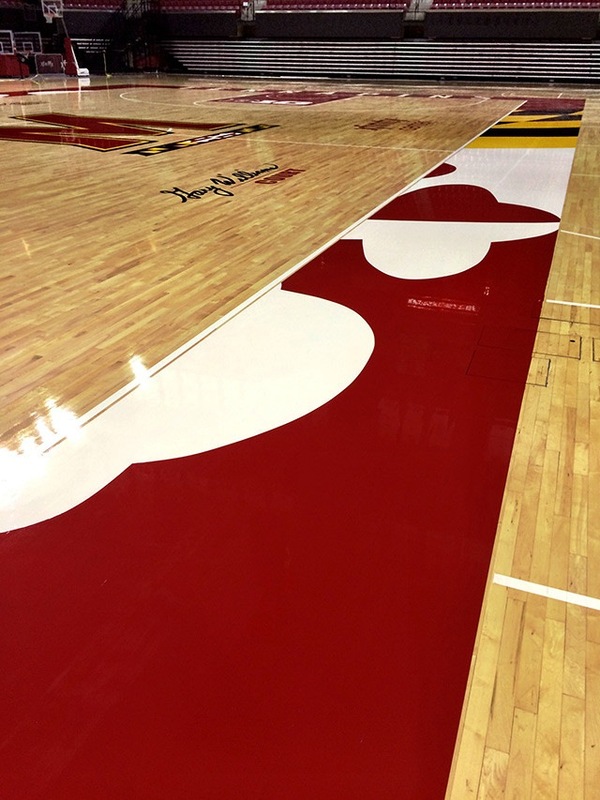 In no surprise, Maryland's new court features the Maryland flag. COLLEGE PARK, Md. 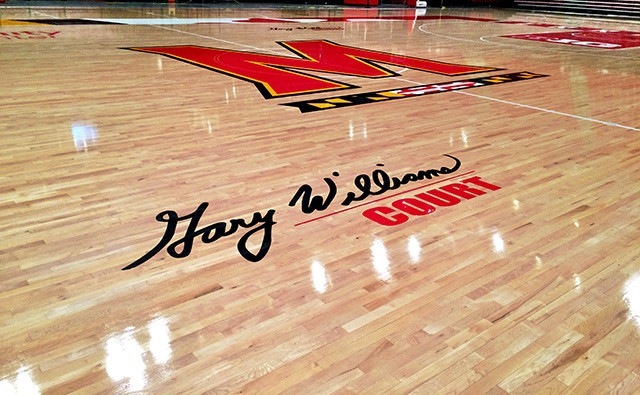 -- In anticipation of the 2015-16 basketball season, the Maryland introduced its latest design for Gary Williams Court at XFINITY Center. 1. The sideline is now engrained with the iconic Maryland state flag. 2. 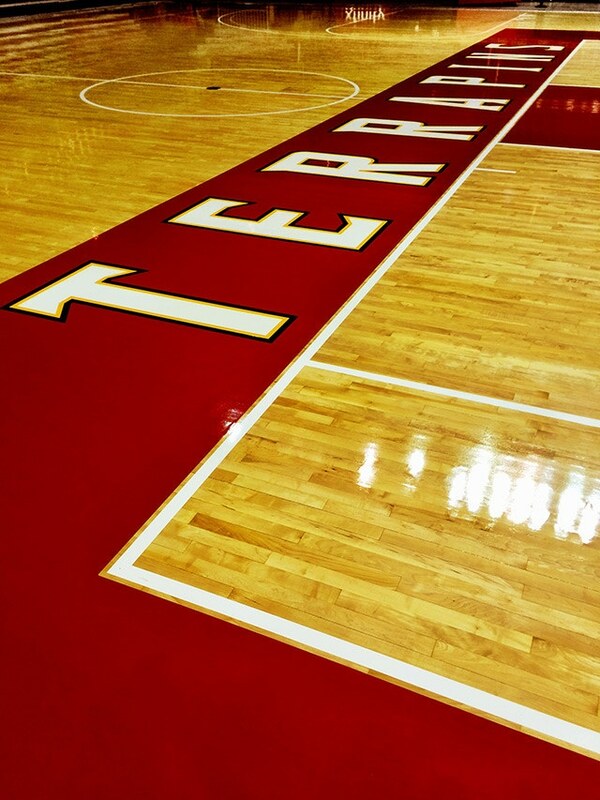 The Maryland “M” returns to center court -- a signature feature on Gary Williams Court at Xfinity Center.